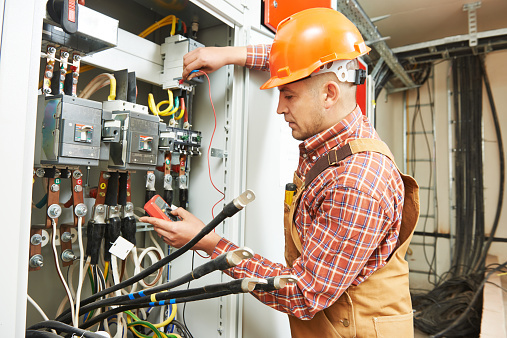 Electrical and Electronic Engineering Technicians apply electrical and electronic theory and related knowledge to design, build, repair, calibrate, and modify electrical components, circuitry, controls, and machinery for subsequent evaluation and use by engineering staff in making engineering design decisions. They lay out, build, test, troubleshoot, repair, and modify developmental and production electronic components, parts, equipment, and systems, such as computer equipment, missile control instrumentation, electron tubes, test equipment, and machine tool numerical controls, applying principles and theories of electronics, electrical circuitry, engineering mathematics, electronic and electrical testing, and physics. They test or modify developmental or operational electrical machinery or electrical control equipment and circuitry in industrial or commercial plants or laboratories. They usually work under direction of engineers or technologists.